My husband is uber good at finding fun festivals and things to do no matter where we live. My friend Jody in Kentucky used to hit me up every Friday "What's going on this weekend?" because he knew that if there was a festival or outdoor fun thing to do, we'd be going. 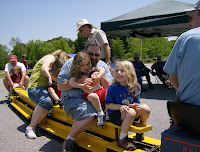 This weekend the Kennesaw Railroad and Civil War museum held their ALL ABOARD DAYS wingding, which featured cool trains to ride, bounce houses to play in and other stuff all designed to make little kids and big kids who like trains giddy. One of the best parts of the trip though was the MUSEUM. 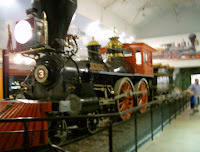 They had a really great set of exhibits, specifically THE GENERAL, the famous engine from THE GREAT TRAIN CHASE. The museum was really fantastic and while I half expected a museum dedicated to artifacts of the WAR OF NORTHERN AGGRESSION it was very balanced, very well done without the bias I expected. Completely impressive. 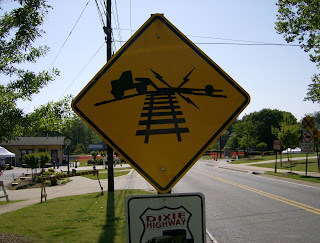 I also learned that trucks crossing railroad tracks in Kennesaw will be electrocuted. I also got the best souvenir ever! Be sure to check out my other gig, PROPS AND PANS where we give you the real scoop on products and services real people use. 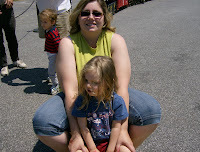 this may give me an excuse to come South on vacation -- my husband loves trains! 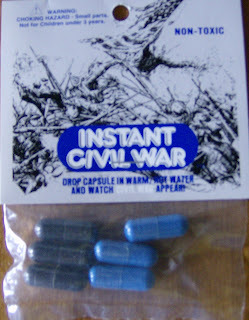 "Instant Civil War"? I laughed out loud! You and your family do more fun stuff in a month than we do in a fricken year! I'm so glad you took my advice and found the GENERAL. Here's another little known fact. It used to be city law in Kennesaw that the head of the household own a firearm. I lived there for a year and never got busted for not owning a gun. Although they don't enforce it, it's still city law.